Real Food ABC's is a series of articles highlighting real food and giving you simple tips to start eating more real food regularly. 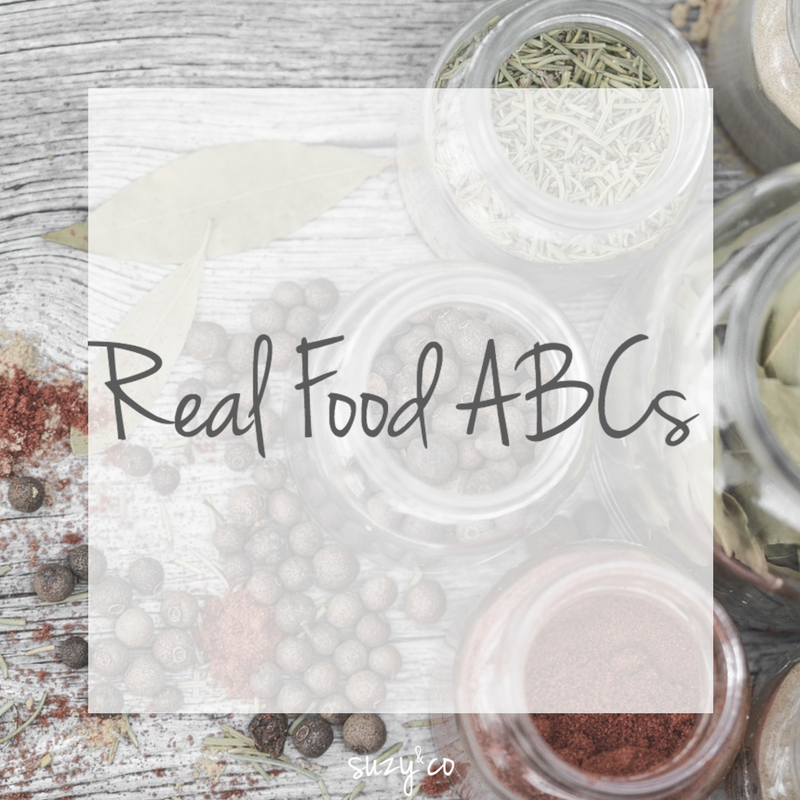 Each letter of the alphabet highlights a food, website, or other item that has to do with real food, cooking, homemade, eating from scratch, or simplifying real food. Some posts introduce things you may not have heard of or just simply do not use. Each post gives you more information that is practical and to the point. You might find the information is enough, or maybe a post might spark you to do more research. My hope is that this series will help you on your path to enjoying more real food.